As far as fashion is concerned, men who are tall and strong are not spoiled, to say the least. Their choice is generally reduced to the strict minimum because little brand produce large size clothes, prices of accessories large sizes are often prohibitive, partly because of this reduced production, as for quality, it is not always at the rendezvous You, and in any case, rarely live up to expectations. Faced with this situation, many men with strong templates no longer know which saint to devote to! As the popularity of ChemiseWeb.com grew, we received more and more solicitations from men who regretted that our shirts did not go beyond the size 45. That's why we ended up By taking the problem to arm the body in order to produce our own large size shirts. So we started by doing a market study and all the points outlined above came up with clarity. So we decided to take the opposite side of the competition. 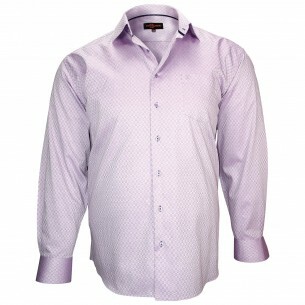 Offer a large choice of large-size shirts so that our customers are not forced to choose their shirt by default, but by taste. Produce in enough models and in sufficient quantity to be able to keep normal prices and not "overtax" our large customers. And keep the same quality criteria as for all our other ranges of clothing, either solid product, well shaped, built in beautiful fabrics and particularly well cut. The question of the cut is always important regardless of the type of garment. But maybe even more so when it comes to shirts big sizes, intended for men who are overweight. The cut must be irreproachable in order firstly to make the shirt perfectly comfortable whatever the use is made of it and the importance of the movements undertaken, and the cut must refine the silhouette. The choice of fabric is paramount. The fabric must have a beautiful fell, be resistant and breathe, so as not to increase the sweating of the wearer. The only fabrics that meet these three requirements are those made exclusively from cotton. 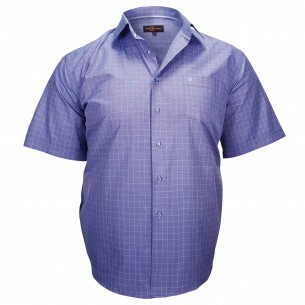 This is why all our large size shirts are made of high quality 100% cotton fabrics. They offer you the assurance of a great comfort and a perfect elegance. Now there remained a recurring question to be dealt with: the lack of choice when it came to large garments. 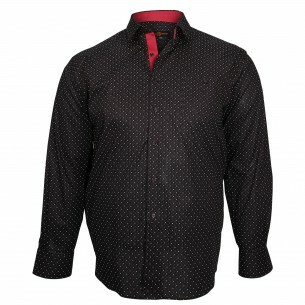 With some 172 large size shirts available on our website (35 shirts or short-sleeved shirts and 137 long-sleeved shirts), we can boast one of the broadest and most extensive offerings on the market. If you add to that a score of large size polos, you will understand why ChemiseWeb.com has become one of the most popular sites for men big and strong!